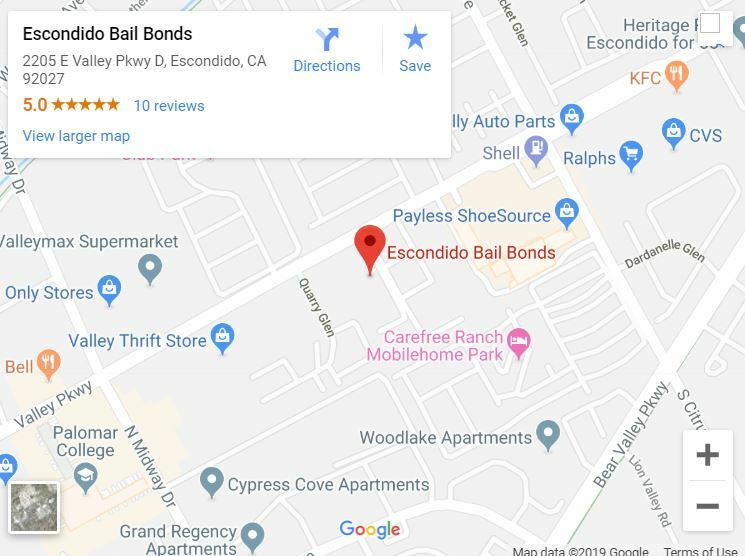 Escondido Bail Bonds | We Serve All Of Escondido! Bail At It’s Finest. 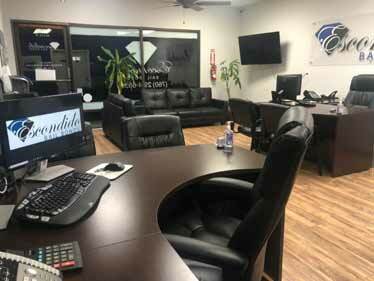 Proudly Serving The Escondido Community And Surrounding Areas. 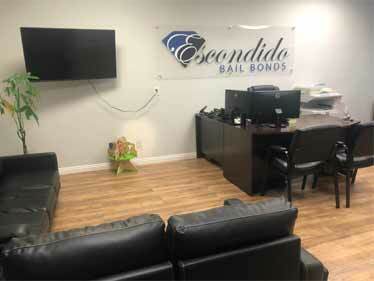 We Can Work With You To Reduce The Costs Of A Bail Bond. Open 24 Hours A Day, Rain Or Shine. We Have You Covered. We'll help you find your loved one in minutes. 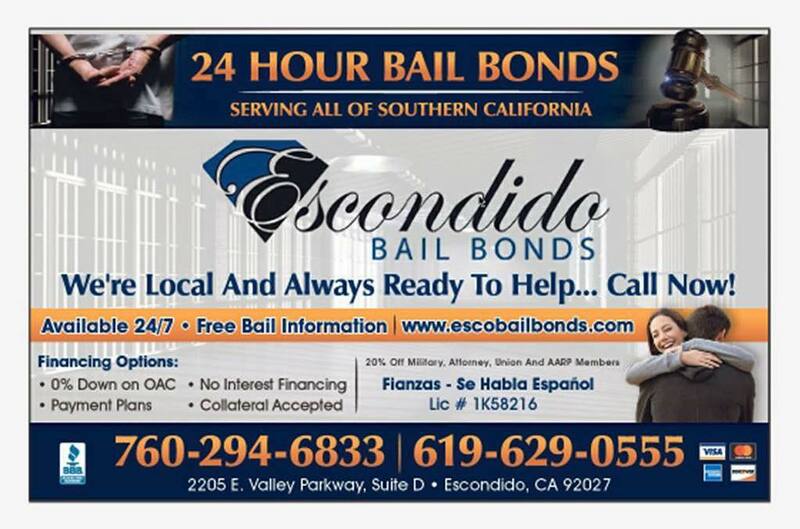 We know every case is different, Escondido Bail Bonds is determined to help you or your loved ones get out of jail. 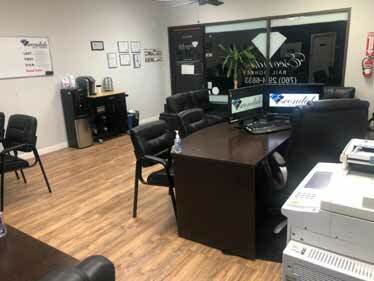 We have knowledgeable staff that are ready to listen and help you through this difficult process. Fill out inmate request form below or call and speak with a professional agent directly 24/7. 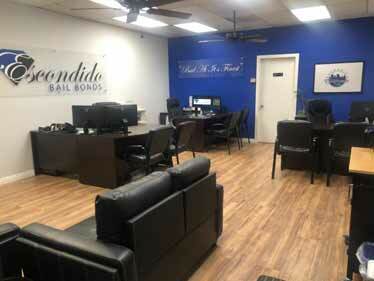 Find useful information about bail bonds today with out in depth articles and insight. If you or someone you know has recently been arrested and sent to county jail, chances are they’d want to be bailed out of jail. 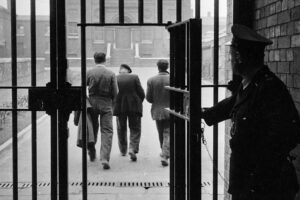 How Long After Posting Bail Will A Defendant Be Released? When an individual is arrested for drinking and driving, their bond is typically set at $2,500. 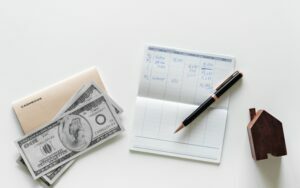 When there has been bodily injuries inflicted, that amount will usually increase to $100,000 in San Diego County. 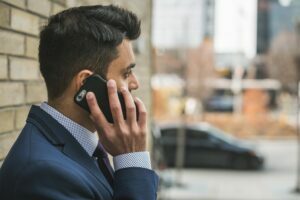 If you or a loved one has been arrested for these charges, give us a call, we can help. If an individual has failed to show up to a set court hearing, he or she will be considered truant. The magistrate will then issue a warrant out for the individuals arrest. If this has happened to you, give us a call today. We can post any warrant bond in the county of San Diego. Domestic Violence charges will vary between $5,000 to $50,000. We assist hundreds of locals each year that have been wrongfully arrested under these types of charges. Whether it's a misdemeanor or felony, we can get the bond done.